Fair Housing Program fighting housing discrimination on Chicago’s Northside settles two disputes in as many months. This week, Bil-Mar Property Management agreed to pay over $3000 to potential tenant Tymikee Brown in order to settle a housing discrimination complaint. The complaint alleged that Brown and her young daughter were treated differently when they attempted to use their Chicago Housing Authority “Housing Choice Voucher” to find a nicer apartment in their neighborhood of Rogers Park. Some people refer to “Housing Choice Vouchers” as “Section 8 Vouchers.” The company is not admitting their guilt or innocence in settling the complaint. “This is really getting out of hand. Nobody goes by the law of housing but they make up their own laws. And that’s unfair,” says complainant Tymikee Brown. The landlord is one of many accused of allegedly turning away or discouraging the applications of users of public rent subsidies. Chicago and Cook County both have fair housing protections for source of income, obliging landlords to equally consider any legal, verifiable source of income including public rent subsidies. The program has many more complaints and investigations into Source of Income discrimination that are ongoing. Some providers are suspected of purely discriminating against people with rent subsidies, and some providers are accused of allegedly treating voucher holders differently because of their race or disability. 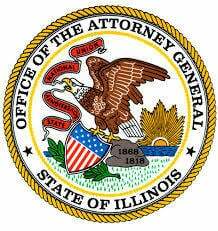 The settlement comes a month after a different, smaller, landlord on the Northside of Chicago made an agreement to settle allegations of discriminating against adoptive and foster parents. While the other landlord made no admission of wrongdoing, the housing provider agreed to undergo fair housing training, state that families with children are welcome on future applications, and pay attorney fees should future violations result in enforcement. It was alleged that while the landlord accepted newborn children, the housing provider was accused of saying they would not accept the children of a family planning to adopt, not knowing the ages of the children. A similar charge against a different provider is still pending. Discriminating in housing against someone because of their familial status is a violation of state and federal laws. These families were helped by the Northside Fair Housing Initiative, a project of Northside Community Resources funded by the federal department of Housing & Urban Development. “Everyday, we hear stories that seem to indicate a blatant disregard for laws against housing discrimination on Chicago’s Northside,” says Program Manager and Attorney Courtney Kimble, “We are here to shine a light on fair housing law violations until we have a Northside where all feel welcome.” Housing discrimination complaints can be reported to the program by calling 773-338-7722 ext. 13. 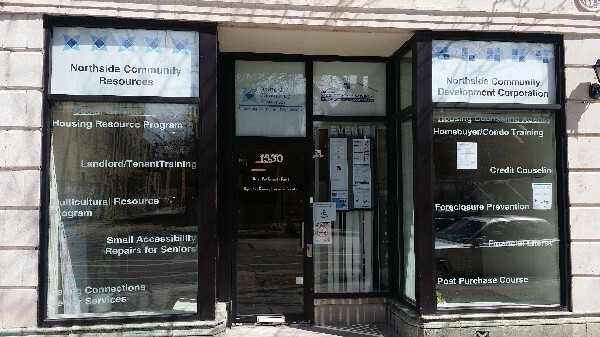 Founded as the Rogers Park Community Council in 1952, the Northside Community Resources has been providing social services in the Rogers Park and surrounding North side neighborhoods for over 60 years. Today, our housing, seniors and immigrant services programming reflects a diverse client base, with needs that are equally diverse. As our reach now extends beyond the borders of Rogers Park, we renamed the organization Northside Community Resources in March of 2012. Under this new banner, we are re-committed to serving the people of our city’s great north-side communities.